Birmingham City travel to Bramall Lane tomorrow to face high flying Division One outfit Sheffield United in the FA Cup. Chris Hughton’s team earned a place in the fourth round of the competition after beating Wolverhampton Wanderers 1-0 at the Molineux after a replay. Sheffield’s road to the fourth round has seen them beat Oxford, Torquay and Salisbury, all at Bramall Lane. 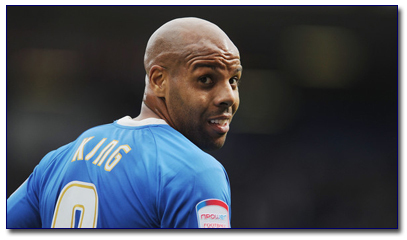 Marlon King is a doubt for the FA Cup fourth round clash against Sheffield United tomorrow. King, who has notched 11 goals in all competitions so far this season hasn’t been able to shake off a groin injury that he picked up against Watford last week. Colin Doyle will be rewarded for his exploits against Wolves in the previous round by starting against Danny Wilson’s Blades, whilst England U21 keeper, Jack Butland gets a place on the bench. Liam Ridgewell (hamstring) and Pablo Ibanez (knee) are back in contention after recovering from their respective injuries, but this game has arrived a little too soon for club captain Stephen Carr, who is back in full training. Speaking to bcfc.com, Chris Hughton said: “I expect it to be as tough a test as the Wolves game I really do because they’re playing at home and are in really good form. “I have seen the video of them away at Charlton last week in a top of the table clash and I thought for large periods of the game they were the better team and were unfortunate to lose the game. “I think they will be right up there for promotion and they are a team with momentum at the moment. “There will be a big following from our fans and I expect a big crowd. This entry was posted in BCFC News and tagged bcfc, birmingham city football club, chris hughton, colin doyle, fa cup, marlon king, sheffield, watford, wolverhampton wanderers. Bookmark the permalink.